Skilled, Experienced Organic Chemist, Bench or Field Work, Strong Analytical, Instrumentation, Computer Skills. Research and Development, Process Development, Manufacturing Support. Biotechnology, Pharmaceuticals, Agriculture, Energy, Mining, Nanotechnology, Environmental / Natural Resources, Polymers / Materials Science. Fluorine Chemistry, High Energy / Explosives, anything "cutting edge"; novel and new research areas. Experienced and competent in all standard organic lab synthesis, workup and analytical techniques. Vacuum Fractional Distillation, Recrystallization, Flash-Column Chromatography and Automated Reverse-Phase HPLC. Multi-step / large-scale synthesis; Scale-ups from milligram to multigram to kilogram. Small peptides; couplings, isolation, characterization, Small molecule drug discovery and development. Analytical Instrument [GC, HPLC, GC/MS] use, maintenance, method development. Lab / Instrument general upkeep, maintenance and use. Experienced with Grignards, Organometallic and Fluorine chemistry. Chemical waste handling and proper disposal, associated paperwork. Process development and production; up to 30-liter scale reactions. Natural products (Taxanes) synthetic modifications and development. Experienced in the use and handling of hazardous materials such as Phosgene, liquid HCN, HF, Organometallics, Organosilicon and Hydride reagents, elemental Fluorine (F2), Fluorination reagents, Strong Nitration Acids, DAST, SelectFluor, DeoxyFluor, SbF5, high-oxidation state inorganics. I can synthesize FLUOLEAD ® and a variety of Ar-SF5 compounds for you and your company RIGHT NOW! Online Consultant in the areas of hypervalent sulfur - fluorine chemistry. Synthetic [peptides] Organic Chemist, Process Development. [contract position through Kelly Scientific]; Peptide R&D and Process Development using Automated Peptide Synthesizers, HPLC/MS, and wet chemistry as needed. Organic Synthesis, Research and Process Development. Participated in the development of the novel new fluorinating reagent FLUOLEAD ®. Chief researcher; developed synthetic strategies and processes for novel pentafluorosulfanate (SF5) and tetrafluorosulfanyl chloride (SF4Cl) compounds. Synthetic Organic Chemist, Process Development. Played a key role in the development of the synthetic procedure for a third generation taxane which is now in clinical trials for proliferative disease. Developed alternate synthetic strategies for this taxane compound. Process Development Chemist, Agricultural Products. (contract / temp position). Organic Synthesis and Process Development, Scale ups and Production (15 liter reactions) of agricultural intermediates. Developed significant improvements in the synthetic process for a key agricultural investigational lead compound. Organic Synthesis. Worked on several diverse projects, including A2/Renin Inhibitors, VnR Inhibitors, Anti-Diabetics, PTPase Inhibitors, LHRH Inhibitors. Developed leads, SAR profiles, and ultimately the most active compounds in the PTPase and VnR projects. Developed early lead structure in the A2 Inhibitor project; a derivative thereof went to clinical trials. Discovered and developed the lead structures and SAR profile for compounds in the LHRH project. Master of Science degree earned while serving as instructor in undergraduate organic lab courses. Seminars included presentations on novel Grignard reagents and the chemistry of poly-nitro aromatic compounds and explosives. Bachelor of Science in Chemistry degree obtained while participating in Cooperative Education Work-Study program with the DOW Chemical Company, Midland MI. 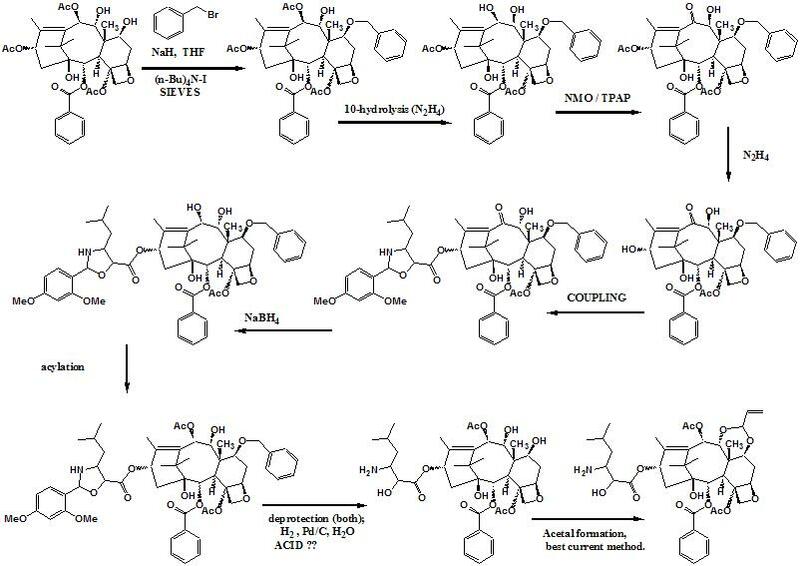 "Synthesis and biological evaluation of piperazinyl heterocyclic antagonists of the gonadotropin releasing hormone (GnRH) receptor." ; Bioorganic & medicinal chemistry letters. 03/2010; 20(8):2512-5. "Small molecule antagonists of the gonadotropin-releasing hormone (GnRH) receptor: structure-activity relationships of small heterocyclic groups appended to the 2-phenyl-4-piperazinyl-benzimidazole template." ; Bioorganic & medicinal chemistry letters. 03/2009; 19(7):1986-90. "2-phenyl-4-piperazinylbenzimidazoles: orally active inhibitors of the gonadotropin releasing hormone (GnRH) receptor." ; Bioorganic & medicinal chemistry. 08/2008; 16(13):6617-40. "Discovery of practical production processes for arylsulfur pentafluorides and their higher homologues, bis- and tris(sulfur pentafluorides): Beginning of a new era of "super-trifluoromethyl" arene chemistry and its industry." Teruo Umemoto, Lloyd M Garrick, Norimichi Saito Beilstein journal of organic chemistry. 01/2012; 8:461-71. Are you interested in research, process development, or manufacturing support for hypervalent sulfur fluoride compounds? in many diverse areas such as pharmaceutical, agricultural, bioactive, polymers, dyes, organic semiconductors, liquid crystals, explosives, to name a few. I would like to continue this research, and there are very few other people skilled and knowledgeable in this chemistry. I have some new research ideas which would not only improve even the existing new process significantly, but would also skirt the existing patents - all I need is a lab! And the climate (thin cool dry air) in Colorado and nearby states in this part of the country is perfect for this type of work. Are you a bio/tech/pharm/med company with entrepreneurial spirit doing novel drug discovery and development? Or are you looking to develop the next generation of agricultural compounds? Do you want a serious edge over your competition? I can make FLUOLEAD ® (the novel new deoxo-fluorinating reagent) and a variety of Aromatic-SF5 building blocks for you right now! No need to purchase them from current suppliers at rediculous prices!